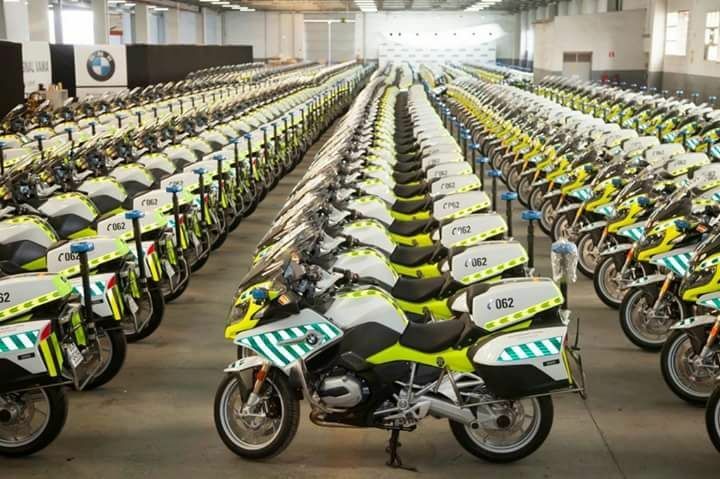 The latest two-wheeled addition to the Guardia Civil fleet sees a return for BMW, with the acquisition of nearly 300 BMW R1200RT motorbikes, set to replace the previous R850RT model, which had already started to be phased out by the powerful Yamaha FJR 1300. As well as the move towards more powerful and purpose designed motorbikes, the latest fleet sees the addition of high-visibility colours, yellow fluorine, required by new European regulations that recommend its use in police vehicles. 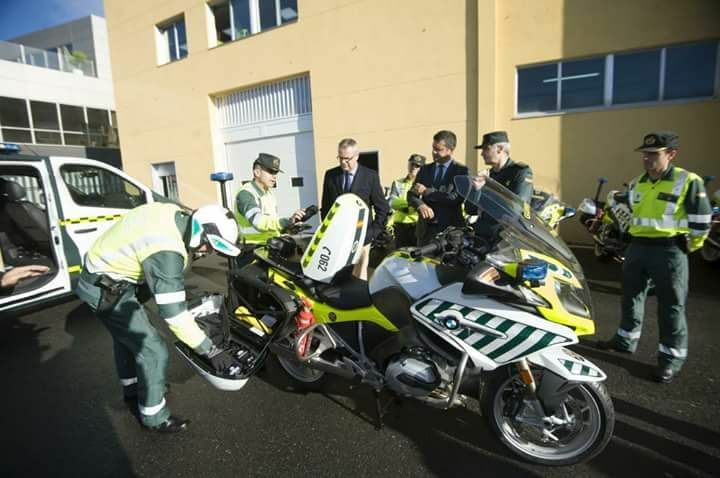 BMW Motorrad, owned by the BMW consortium, delivered the new motorbikes recently to the Guardia Civil, with their specific role of improving the safety of the officers who patrol the roads and motorways in Spain, and make the roads safer for all. The motorbikes will be used on the Iberian Peninsula, in the Balearic Islands and also in the Canary Islands and will serve to replace the previous BMW R850RT. In this regard, the R1200RT “includes all the elements of safety and comfort” and have specifications required by the Traffic Department in order to carry out the tasks for which they will be used, such as the installation of a siren and emergency lights, amongst other elements. 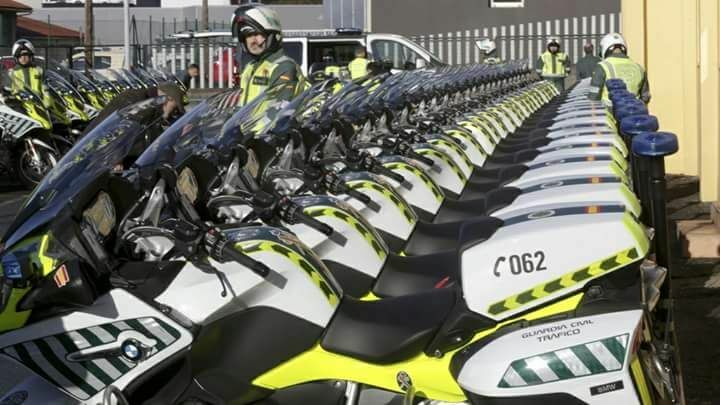 These 291 motorcycles have the corporate colours of the Guardia Civil, the distinctive green and white colourings, and has the addition of the yellow fluorine features, which serves to satisfy the new European legislation that recommends its use in police vehicles. With a list price of 19,650 euro, the R1200RT measures 2,222mm in length and 983mm in width. It has a wheelbase of 1,485mm and has a seat height to the floor of 805mm. It weighs 274kg and its maximum weight capacity with load is 495kg. As is the standard for police motorbikes, the double-seat has been removed and replaced with a single-rider seat, allowing more room for the equipment to be carried. It has a storage capacity of 25 litres, with areas specifically designed to transport the newly acquired and necessary equipment to carry out traffic surveillance without having to rely on other types of vehicles. 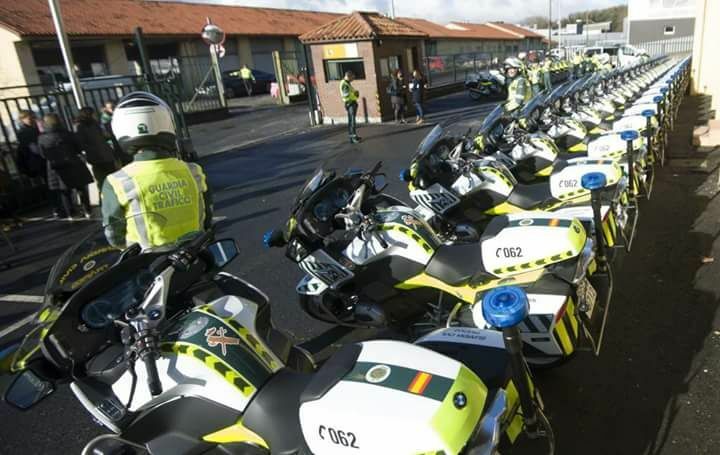 Francisco Javier Molano, Chief Lieutenant Colonel Guardia Civil in Galicia explained, “The new motorcycles allow the officers to perform speed controls and alcohol and drugs checks, without having to wait for the arrival of other patrols”. The motorcycles provide greater autonomy on the roads and with the new portable radars, the officers will be able to set up checks and controls and more areas, and faster than ever before. The new radars are small enough to be carried in the motorbike´s compartments, and can be set up on a tripod or used by hand. 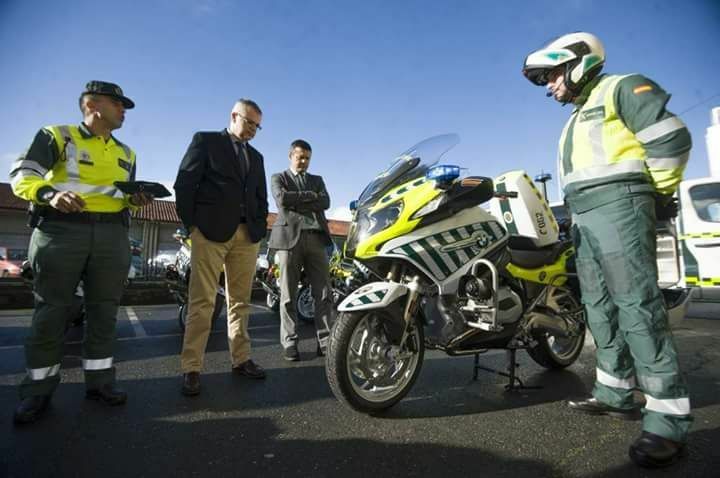 The new alcohol and drug testing kits are also small enough to be carried on the motorbikes, allowing for instant checks to be carried out at the roadside at any time, day or night. The Director General of Traffic, Gregorio Serrano, explained that the bikes are also intended to avoid the influence of applications and social networks that warn of alcohol controls. With motorcycles, these monitoring devices for alcohol and drug consumption will be much more dynamic, since the motorcycle has a greater versatility of use than cars, with which the controls will be much more agile. Returning to the characteristics of the bikes themselves, it is equipped with a bi-cylinder mixed cooling engine, with a cylinder capacity of 1,170cc. Its maximum power is 125hp at 7,750rpm. Its torque is 125Nm at 6,500 rpm. The motorbike has six gears and has a 320mm diameter hydraulic disc double disc front brake. Its rear brake is monodisc and its diameter is 276mm. The bike can carry a front tire of 120/70 ZR with a 17-inch forged aluminium rim. The rear tire is 180/55 ZR, also with a 17-inch forged aluminium rim. It has several optional elements such as the Start-Up Assistant, the electronic suspension adjustment, gear-changing Assistant (for more comfort and dynamism when changing gears) and LED daytime running lights. It has two driving modes: Rain and Road, as well as an automatic control system ASC (Automatic Stability Control). The windscreen is adjustable so that it protects better against wind and rain. It has a multifunctional dashboard with TFT screen, and an on-board computer that provides the rider with a wealth of information.